December 8: Only 40 percent of voters supported the Opportunity School District proposal for Georgia’s chronically failing schools. Still, 68,000 children attend those failing schools. What next for education? Find out at “Saving Our Students: Georgia’s Education Policy Options,” the Foundation’s Leadership Breakfast on December 8. The speakers are Erin Hames, former policy adviser to Gov. Nathan Deal, and outgoing Georgia State Rep. Mike Dudgeon, a member of the Georgia Education Reform Commission. Cobb County’s Georgian Club, 8 a.m. $30. Register here. Then and now: In 1991, when the Foundation was established, the Thanksgiving meal cost an average of $25.95 for 10 people. This year, the cost is $49.87, which is 24 cents lower than last year for items including turkey, bread stuffing, cranberries, pumpkin pie and all the trimmings. The drop is thanks to lower farm prices, including for milk and turkey. We’re hungry already! Education Secretary: Gerard Robinson, former state education chief in Virginia and Florida, former head of Black Alliance for Education Options (BAEO) and a fellow at the conservative American Enterprise Institute, is a leader of Trump’s transition team on education and has been mentioned as a possible Education Secretary in a Trump administration. He has participated in several Foundation events! 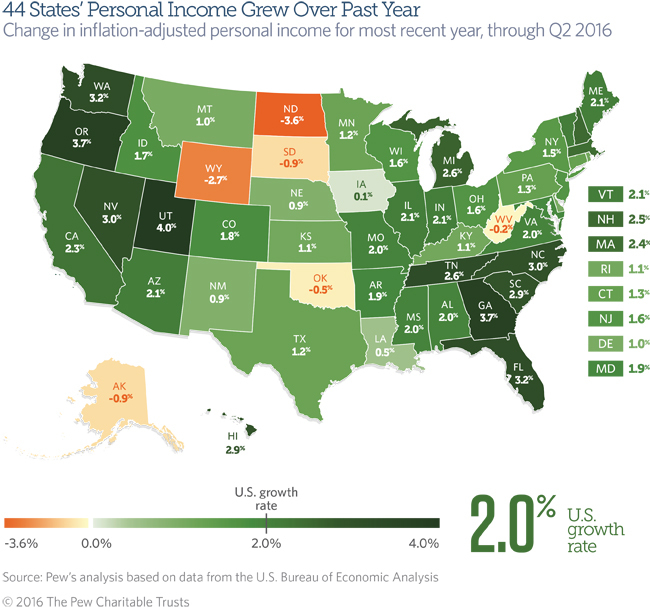 Economic growth: Only Utah has higher growth in personal income than Georgia over the past year. Tax climate: The Tax Foundation’s 2017 State Business Tax Climate Index ranks Georgia at No. 36 overall. It places at No. 10 on its corporate tax rank but 42 out of 50 states on individual income taxes. The only Southeastern state that did worse was South Carolina, at No. 37. Florida is No. 4 overall; North Carolina is No. 11; Alabama is No 32 and Mississippi is No. 28. In first place is Wyoming; worst is New Jersey. This month in the archives: In November five years ago, the Foundation published, “Pipeline from Canada Trickles Down to Georgia.” It noted that, “while the administration fiddles, the United States could miss an opportunity to secure a reliable source of fuel from a friendly – and stable – nation.” The federal government continues to deny a permit for the Keystone pipeline. Social media: The Foundation has 3,067 Facebook “likes!” Our Twitter account has 1,676 followers at twitter.com/gppf. Follow us on Instagram, too! Visit www.georgiapolicy.org to read our latest commentary, “Lessons and Opportunities from The Election,” by Kelly McCutchen.